Convert all Outlook email client's OLK files to PST using the OLK to PST Converter. It converts OLK14 & OLK15 files to PST and other file formats without having any email-client installed in it. 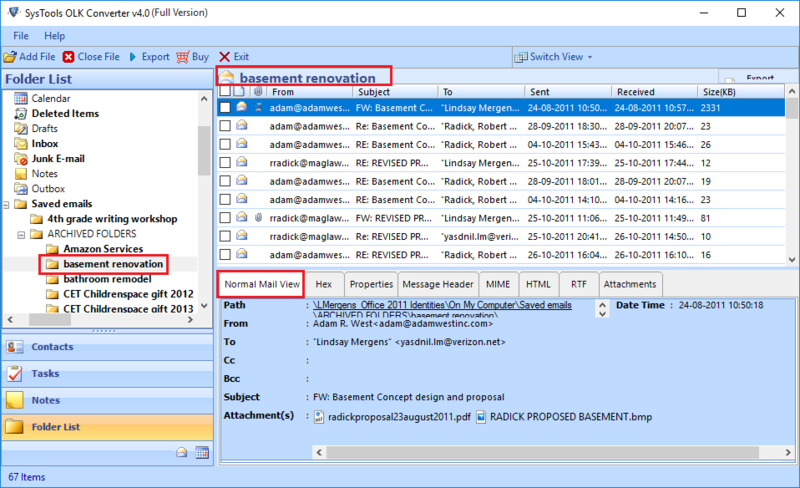 Restore OLK14Messages to PST with & without Outlook. Software provides option to import olkmessages to Outlook pst format, you can also import different olk files to Outlook like; OLKMSGSource, OLK14Event, OLK14Attach etc. OLK File Converter also export these data file to EML & MSG format. Tool maintains original formatting of data throughout the conversion. You have choice to choose single as well as multiple olk files for OLK14Message conversion. Software provides a very good way to convert olk14message to pst in big batches. It will save our valuable time and unnecessary effort. You will just add full folder of olk file to the software and click on export button. Date based filter option is a very useful option which is applicable on the olk14messages and olk15messages. You have to specify the ‘To’ and ‘From’ date ranges to define which set of messages need to be exported using OLK File Converter. Using this option, software will export only selected olk file. 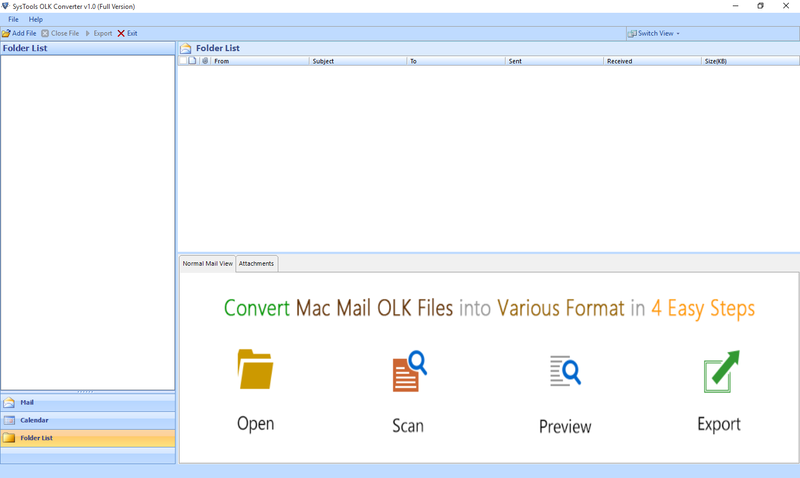 While saving the Outlook for Mac OLK14Message, OLK15 files to EML and Outlook PST, the OLK file converter provides a features to user that they can save these files according to their chosen names. Which means users can specify the name of resultant file according to their wish. This feature option is applicable on every OLK file. OLK to PST Converter provides two advanced categories to convert OLK file according to categories: Mails, Calendars. 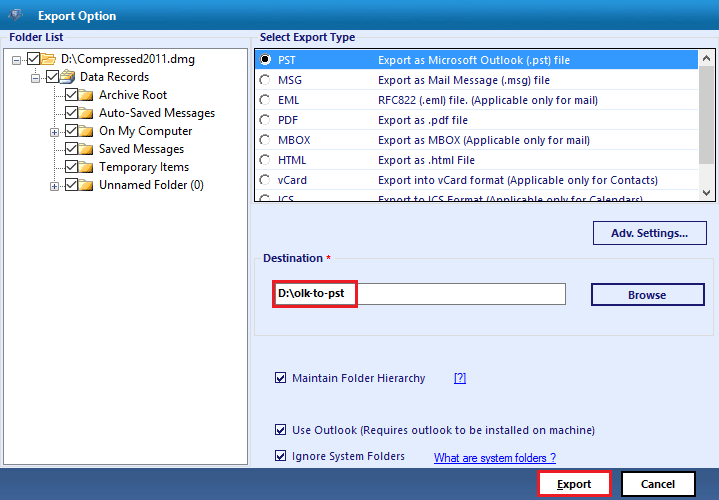 These categories allows users to export OLK messages to PST, EML and MSG file format. 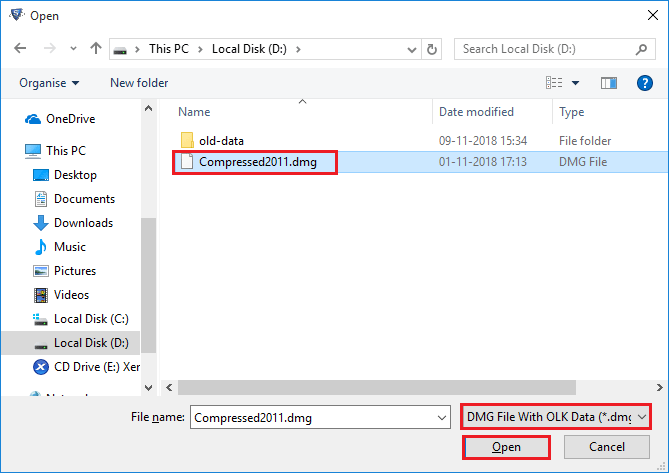 In case you do not know where the olk file is located on your system then no need to fear, the software is capable enough to gives you option whether you want to browse .dmg files or folder. A very good facility supported by software is multiple conversion support. 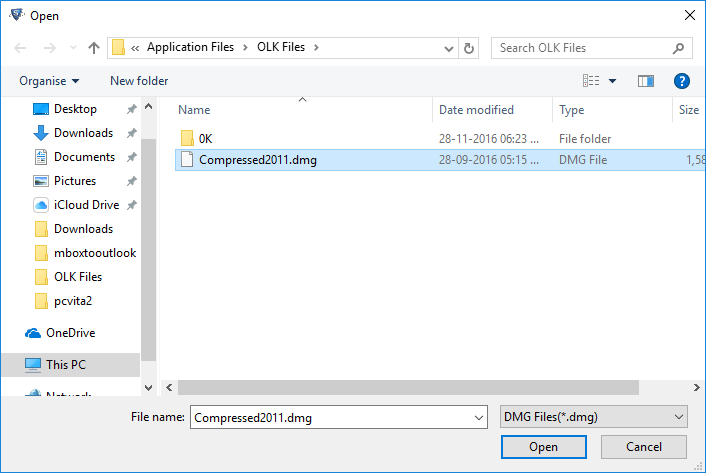 As you will convert OLK file to EML and MSG file format. Software supports to transfer OLK to PST file with & without Outlook. While executing conversion procedure, software does not alter original formatting of email. As by nature, one email is not belong to single olk file. OLKMSGSource, OLK14Event, OLK14Attach and many other olk14 & olk15 files associated with one email data in chunks. If we use above procedure to find other files of that email, then we get fail. The probable causes behind this is each olk file is associated with some serial number and after subtracting one from that serial number we will able to find another olk file of that email. But it has seen that if we drag one olk file from the folder, it will automatically change the serial numbers of all the olk files. Hence we could not find other olk files of that email so, I will not recommend this solution. OLK to PST Converter is the recommended solution developed by expert developers team. It uses special technical procedure to convert batches of OLK14Messages or OLK15 files to PST format. Software does not alter original formatting of your file throughout the conversion. Through this self explanatory OLK File Converter tool, users will able to access their data outside the of the Mac environment just in blink of an eye. Congratulations EmailDoctor for offering such result-oriented conversion tool that made it so easy for me to restore olk14 messages with zero efforts. I felf that this migration tool is just a boon for any person who is stuck with Outlook Mac email client and wants to move Outlook without losing data intact. My experience while using this application was 100 % satisfactory. Can this converter software do bulk conversion? "I have got around 50+ OLK files & want them to be converted to PST format. Either I Should select a single olk file or is there another way that can be incorporated to extract all OLK files at once?" Yes, you can include any no of files at a single frame of time. Just create a folder; copy the desired OLK files to it and all you file would be converted to a single PST file. 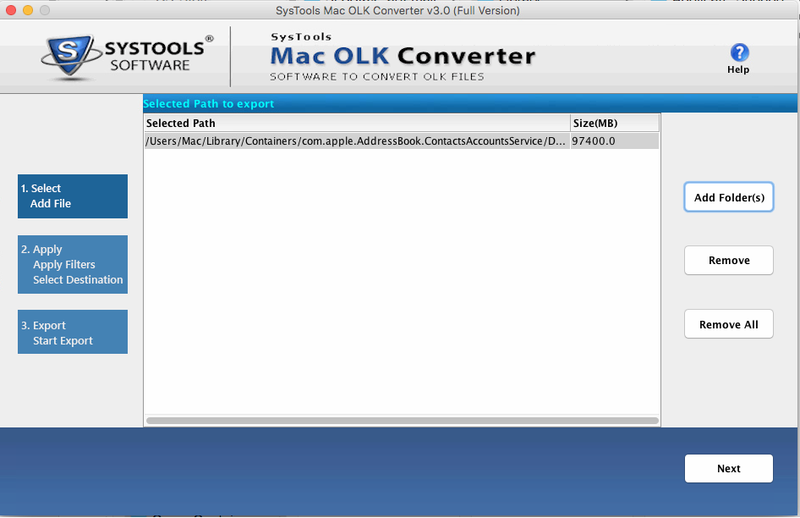 Is OLK to PST Converter supportive with My Mac OS X? No, the OLK File Converter utility is purely a Windows based utility and is not meant for Mac machine. 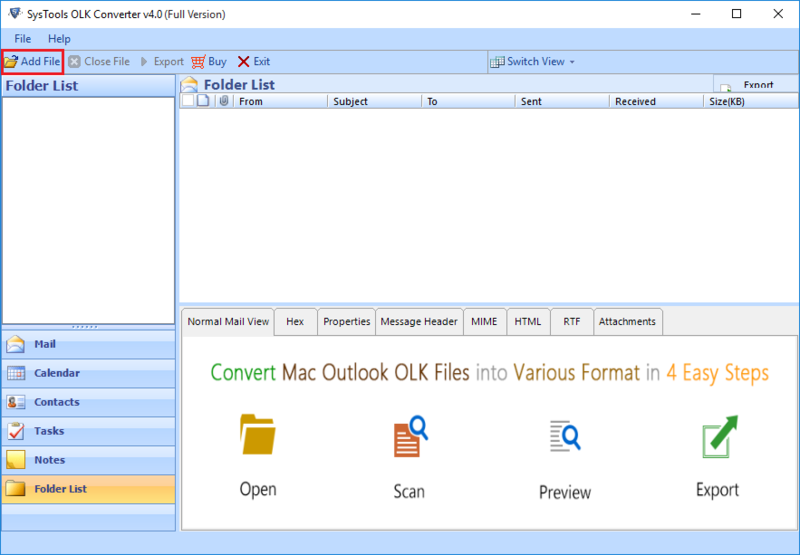 Export all the Mac Outlook OLK files to PST via OLK to PST Converter for Mac. 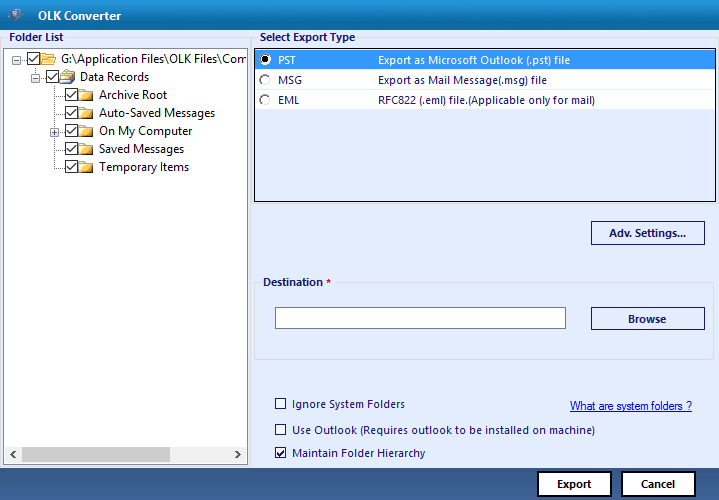 It will be exporting both OLK 14 as well as OLK15 messages to Outlook file format without manipulating the existing data. The software provides 3 different options to convert OLK15message and OLK14message files. PST, EML, and MSG – these file formats are rendered by this application. 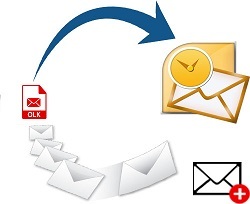 It extracts and exports all mailboxes from Mac OLK file like emails, contacts, calendar, etc. The Mac OLK to PST converter is rendering a smart option to browse and save .olk14/.olk15 message files in bulk. Users can utilize ‘Add Folder’ option to collectively convert files in PST / EML / MSG format. There is no limit appended in the software to browse OLK files in the software. It is not essential that clients has to convert all emails from the browsed files. One can filter out the unwanted messages on the basis of a specific date range. Mention the specific time duration by filling up ‘From’ to ‘To’ field and software will automatically export only the time period messages from browsed file. 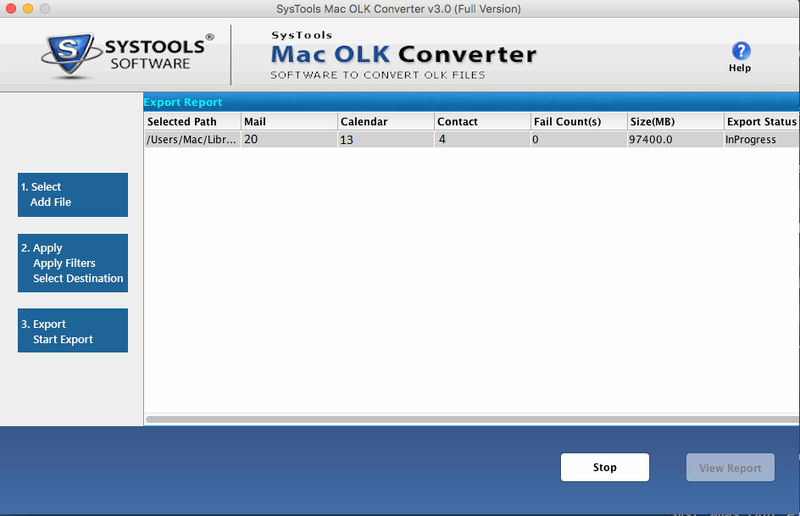 The Mac OLK Converter is capable of saving resultant MSG and EML files in a customized naming format. It renders several options to store files in a desired file format. Options like subject, autoincrement, subject+date, etc., are equipped by exporter for file saving. OLK to PST Converter for Mac is maintaining OLK folder hierarchy in the entire migration procedure. There will be no manipulation in the original folder structure and users can export data without any worry for the same. The resultant folder hierarchy will be same as it was before the migration. The migrator is organized in a user-friendly, simple, and easy-to-use layout. It renders an understandable interface that will be eliminating all the difficulties encountered while converting Mac OLK to PST file. Moreover, tool is easily compatible with all latest version of Mac i.e., 10.10.4, 10.10.5 and 10.12.3. About Mac Outlook OLK File : The file came in notice as a part of Microsoft Office suite 2011 that is an available only for Mac users. 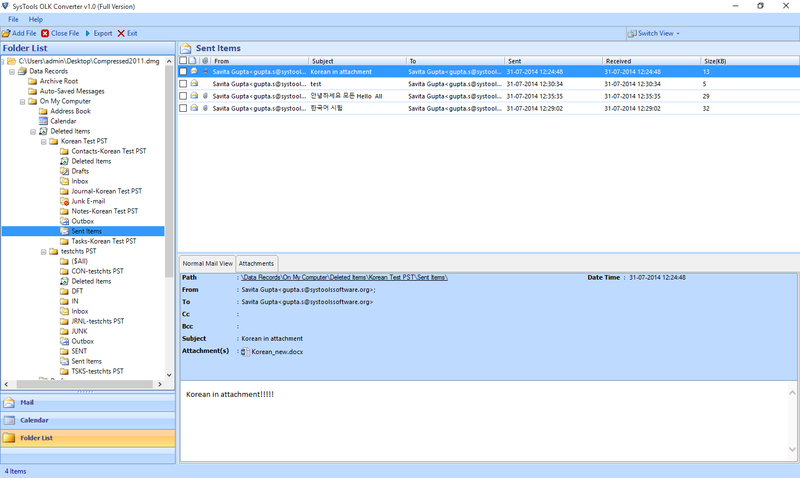 An individual uses this backend Outlook OLK14message file for reading messages on the client end. An OLK file comprises of only message header data. Apart from this, there exists OLK15 MSGSOURCE that comprises of message contents having no attachments within it. The attachment part is saved separately in an OLK file. Mac OLK to PST Converter is the most recommended solution, developed by a team of Mac and Outlook experts. It utilized a different technical measure to export batch OLK14/OLK15 message files to PST. Tool does not disturbs the original data formatting of the browsed data file during the entire procedure. 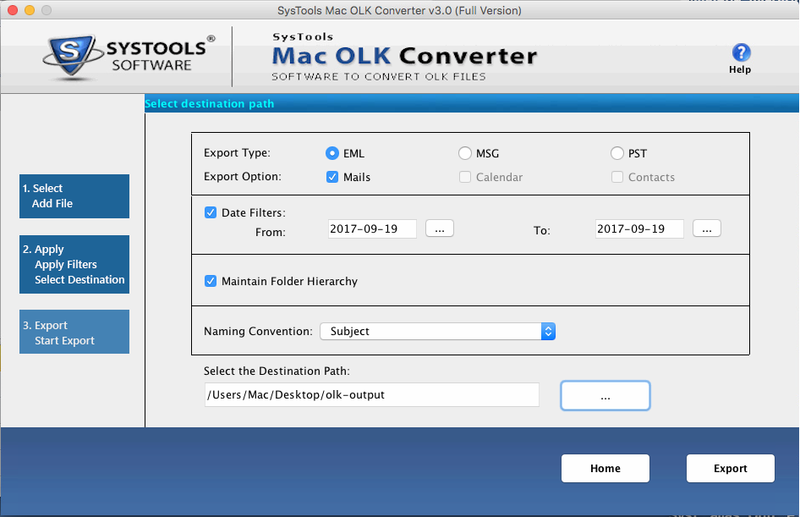 With help of this self explanatory Mac OLK Converter, one will be able access OLK file both on Windows as well as Mac platform. Is there any file size limitation imposed in your Mac OLK to PST Converter? No, the software is designed with capability of working with unlimited size of OLK file. You can feel free to browse file of any size without a point of worry. Does your software requires any supportive email client installation for working? Yes, Microsoft Outlook for Mac 2011 or 2016 is needed to convert OLK files to PST via this product. Will the tool work upon Mac Sierra edition 10.12.3? Yes, the software is compatible with Mac OS X 10 and all the above supported versions.